First shown in HSL furniture shop, St Leonards on Sea, 2001. 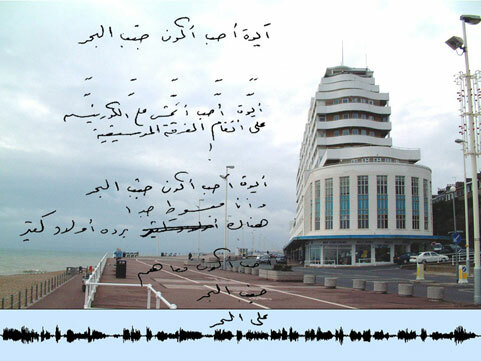 A recording of ‘Oh, I do like to be beside the seaside!’ sung in Arabic by Susan Diab. Translated from Arabic into English by Ali Rady. In 2007 selected for ‘North and South’ to play simultaneously in 6 public galleries in Southampton and Sunderland. Commissioned by John Hansard Gallery to produce a new visual accompaniment to the sound.